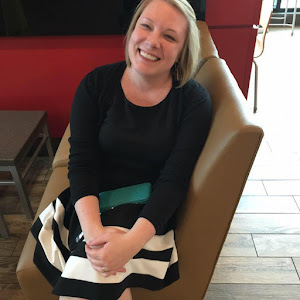 Hey Reader Friends, just a quick note to say I'm aware that the blog dropped off for a week and while it wasn't intentional, it was nice to have a little break! It's so much harder for me to make myself internet when I'm not working. Without being forced to sit at a computer, my brain goes nuts living actual life. I now have a super clean garage and got to take a trip with my family to visit my brother. I'm back now though, and I've got quite a backlog of books to review, so settle in! Right after Phoebe Hall's long-term boyfriend breaks off their relationship, she's falsely accused of plagiarizing her latest bestselling celebrity biography. Looking for a quiet place to put her life back together, she jumps at the offer to teach in a small private college in Pennsylvania run by her former boarding school roommate. But something evil lurks behind the quiet campus cafés and leafy maple trees. 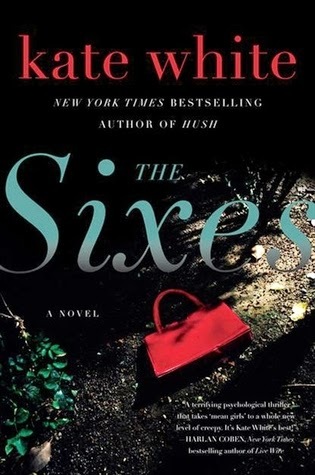 When the body of a female student washes up on the banks of a nearby river, disturbing accusations begin to surface about abuses wrought by a secret campus society known as The Sixes. Haunted by memories of her own school days, Phoebe launches a private investigation, and soon finds herself in the middle of a real-life nightmare, not knowing whom she can trust and if she will even survive. Because with the truth comes a terrifying revelation: your darkest secrets can still be uncovered . . . and starting over may be a crime punishable by death. As much as I enjoyed my read of this book (go ahead and skip below to see my raves), I did have some issues with the writing here. I think the author frequently used too many words when fewer would have served just as well. Many times it seemed like she was just taking up space or wasn't sure how to transition to the next scene. I also felt like there were a few too many mysteries going on. The mystery surrounding the Sixes and the murders were plenty - we didn't need the additional issues of Phoebe's past and her conflict with her best friend's husband. Otherwise, I'd describe the writing as standard romantic suspense, with nothing major to write home about, but inoffensive to the reader. In terms of keeping the reader engaged and entertained, this one doesn't disappoint. While I was jarred by the writing a few times, I never stopped being fascinated by the Sixes, Phoebe's investigation, and the mystery behind the murders. I read it in two sittings because I just couldn't bring myself to put it down. The chapters are fairly short and tend to end with a cliffhanger. I know some people criticize that technique, but it reminded me so much of my Nancy Drew days and made for an easy and fast read. Although I was thrown out of the story a few times by the writing and would have made a few changes there, I was really pleased with how much fun this story was to read and how well it kept my attention. It reads very quickly and has lots of fun twists and turns. It's not the best book I've read this year, but I think it's fun and fairly light if you're looking for something diversionary. Thanks to TLC for including me on the tour. You can click here to see the rest of the tour stops. I love mysteries, and any book that makes me want to read it in one or two sittings is a winner for me. Thanks for being on the tour!